Most of the time, Greek yogurt is seen as the best option for getting the health benefits of yogurt. 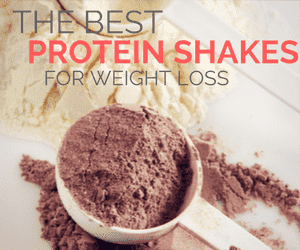 After all, this style tends to be relatively high in protein and low in sugar, making it filling and perfect for anybody that is trying to lose weight. But, much of this popularity comes from marketing. Now, there’s no doubt that Greek yogurt is healthy. But, there is an even better option out there, which is skyr yogurt. Skyr yogurt has been gaining in popularity recently over more typical Greek yogurts such as ​Chobani​​​. There are many similarities between skyr and Greek yogurt, including the fact that skyr is also thick, creamy and high in protein. Additionally, skyr does tend to contain active cultures and some brands focus on natural ingredients. One thing is that skyr has some nutritional advantages. In particular, it tends to have more protein than Greek yogurt, making it especially relevant for health and weight loss. But, more than that, it also simply tastes better. In fact, skyr consistently wins out in blind taste tests (such as the one conducted by the Huffington Post). One reason for this might be the tartness isn’t as dramatic as with Greek yogurt, making it easier to eat and use with food. The combination of nutritional and taste advantages means that skyr is simply a better choice for health, regardless of how you feel about Greek yogurt. Skyr yogurt is pretty similar to Greek yogurt overall, so the two are often confused. However, skyr is a slight bit thicker in appearecne and texture versus most Greek yogurts. Traditionally, skyr is created from skim milk (while Greek yogurt isn’t). But, this distinction doesn’t apply to what is sold in our stores, as there are many nonfat Greek yogurt products and some skyr products that do contain fat. As part of the production, the yogurt is warmed and live cultures are added. Once the yogurt has thickened, the whey is also removed, a process that contributes to the final texture and taste of the yogurt (1). Visually, the product looks the same as other thick yogurts. For that matter, many people assume it is simply another variation on Greek yogurt. However, there are enough differences in the processes and the taste to make skyr truly distinct. The best way to see that difference is to try them side-by-side. The site Eat Cook Explore offers additional insight into skyr and what you can expect. Likewise, Extra Crispy discusses how skyr is different than other types of yogurt. Now, the style of skyr yogurt does mean that you mightn’t like it if you don’t like Greek yogurt. But, it’s still worth trying. Some people do find that they enjoy skyr, even if they normally hate Greek yogurt. This might be related to the residual sweetness and the vanilla bean flavoring added to skyr. The name skyr is often associated with the brand Skyr, which used to be called Skry.is. This is probably the most well-known skyr yogurt brand and many people love the taste of the yogurt. As you can probably imagine, the nutritional information varies between the brands, along with the individual products that they produce. Likewise, the plain versions of the products tend to be healthier than the flavored – although many people prefer flavors. However, some of the general nutrient patterns are given below, for the plain varieties (2,3). So, generally speaking, skyr tends to be relatively high in protein, while also being low in sugar (although that aspect is certainly brand dependent). At the same time, skyr will contain many of the same nutrients that you find in other yogurts and dairy. That aspect alone makes skyr extremely healthy. Skyr yogurt shares many of the same health benefits of Greek yogurt. After all, the overall style and nutritional content are very similar. But, skyr does have more protein and this alone is a major health advantage. Protein used to have a bad reputation but it is an essential type of compound for our bodies. At the same time, many people aren’t actually consuming enough protein for various reasons (4). But, protein plays a role in a large range of body processes, including muscle development and strength, along with appetite and metabolism (5). And, despite the claims that people make, there is no evidence that a high protein diet puts your health at risk. Instead, that type of diet could offer health advantages. Other benefits of skyr are also connected to the natural nutrients that it contains, including minerals like calcium. Some of the key benefits for health can be seen below. I’ve seen many people avoid yogurt when they’re trying to lose weight, normally because of the calories it contains. But, yogurt isn’t all that high in calories anyway. More importantly, skyr can help you to lose weight both directly and indirectly. One reason for this is the protein. Protein helps people to feel full and can lower hunger, along with cravings for food (6,7,8). As a result, protein can help reduce the amount of food people eat – resulting in weight loss and improved body composition (9,10,11). For that matter, research has even shown that eating yogurt regularly can contribute to weight loss, especially in cases where the yogurt is high in protein (12). There is also some indications that protein may help to increase metabolism, which would mean that you are burning more energy (13,14). Now, the difference in metabolism isn’t dramatic and is around 80 to 100 calories per day (15). Still, if you’re trying to lose weight, every little advantage can help. Related Article: Why Am I Not Losing Weight? Making good dietary choices plays a key role in heart health and reducing the risk of heart disease. Dairy, including skyr, is an important way to achieve this outcome, because it contains a range of different nutrients that contribute to health. These nutrients include calcium, magnesium and potassium (16, 17, 18). Dairy products themselves have also been linked to reducing deaths from heart disease (19) and lowering blood pressure (20). A recent study with a 30 year follow-up period found that at least five servings of yogurt a week versus one serving resulted in a 16% lower risk of high blood pressure. Skyr is often a probiotic yogurt, meaning that it contains active bacterial strains. These bacteria are good for us and they serve to promote a healthy balance of bacteria within our gut. Research suggests that the bacteria in our digestive tract plays a key role in our overall health. A poor balance of these may contribute to the development of a range of diseases (21,22,23). Additionally, there is growing evidence that taking probiotics can help improve digestive health. Many of the positive outcomes have been found for (24,25,26,27) probiotic yogurt, which highlights just how important this type yogurt is. These patterns are also why fermented foods are so important to health overall. Now, gut health is still a relatively new field and there is much to learn. But, it is clear that probiotics foods like skyr can help and are worth including in the diet. Related Article: Why Are Fermented Foods Good for You? Yogurt is a good source of calcium and skyr is no exception to this. Calcium is essential for bone health, especially in teenagers and children (28,29). Calcium also becomes particularly relevant as people age, as bone density can decrease (30). Having sufficient calcium intake can help to prevent against that loss and even reverse it in some cases (31,32). You can find calcium in many other foods too but yogurt is always a good place to turn. Additionally, skyr is a healthy snack anyway and the calcium content is just one more reason to have skyr regularly. Skyr can also be relevant for blood sugar control because it is high in protein and low in carbs. This nutrient pattern is particularly relevant because it serves to slow down the absorption of carbs, resulting in lower blood sugar levels (33,34). Additionally, products with this balance of protein and carbs won’t spike your blood sugar in the same way that many other options will. However, you do need to be careful about which specific product you consume to get this benefit. In particular, some brands contain more sugar than others, even among the unflavored varieties. As a result, the impact on blood sugar control is likely to vary from one yogurt to the next. As with other types of yogurt, skyr tends to be considered safe and you can regularly consume it without risk. However, this isn’t the case for everybody. In particular, if you are allergic to whey or casein, you won’t be able to eat skyr yogurt (35). If this is the case for you, then you will already be aware, as you would react in a similar way to any milk-based product. If you are lactose-intolerant, you may be able to eat skyr or you may not. This will vary from one person to the next, as lactose sensitivity isn’t consistent (36). The straining process used in skyr does remove around 90% of the lactose. So, you may be able to eat it without an issue. Still, it’s best to start off with a small serving, just in case you cannot tolerate skyr. Which Brand Should You Pick? When it comes to yogurt and health, it’s always important to pay attention to the ingredients label and how you plan to use the yogurt. In particular, using the plain options is always going to be the healthiest alternative. Many people do this and then add in their own flavorings, such as raw honey and cinnamon, along with toppings like pomegranate arils, kiwi and walnuts. Likewise, the unflavored versions make sense if you plan to cook with the skyr or use it in smoothies. For example, there are many recipes that call for Greek yogurt and you could easily use skyr instead. Still, some people prefer the flavored versions. If that’s the case, watch out for extra sugar. For example, the brand Skyr remains one of the most popular options for Icelandic skyr. But, their blueberry flavor contains 22 grams of sugar. In contrast, the blueberry from Siggi’s has just 10 grams of sugar. Siggi’s also appeals to many because they have a strong focus on natural ingredients. So, if you wanted a flavored version, Siggi’s could be a better choice. As with yogurt in general, which answer works for you will depend on your preferences and what is available. But, Skyr and Siggi’s are both good starting points and they are healthy options overall. Hi, enjoyable reading, only thought is when you say a product has ,say 22grms of sugar , you don’t clarify if that is a in (for instance) a 450 gems pot or 100 gems serving. Thanks for the heads up. Unless otherwise specified, I’m simply referring to the serving size the company provides. Most of these yogurts are served in small containers and people tend to eat the whole thing in one sitting.